I have a 18/19 season ticket wich games can I attended? I have had an accident and I’m using crutches and I cannot go up the stairs can I request to be moved to a different seat in an easy access area? I want to move to a different seat my seat will I lose my seniority as season ticket holder? I have a season ticket wich is payed by direct debiting but I want to change the shiping adress, when can I do it? I have lost my season ticket, where can i ask for a copy? What documentation do I need to buy a season ticket? 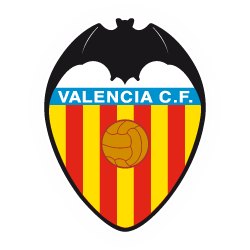 Can I get to see the VCF-Mestalla games, with my season ticket? Do I have any discounts on the online store just for being a season ticket holder? Are there any discounts on tickets if you are a season ticket holder? If you change your seat in the periods established by the Club you will not loose your seniority.